Buffalo’s historic Old First Ward neighborhood is known for its working class, Irish roots – it’s where the workers who manned the nearby grain elevators in their full-throttle heyday called home. It’s a place of pocket parks, taverns full of character(s), and the site of some prime annual events. It’s an intact neighborhood blending light industry, homes, and business. 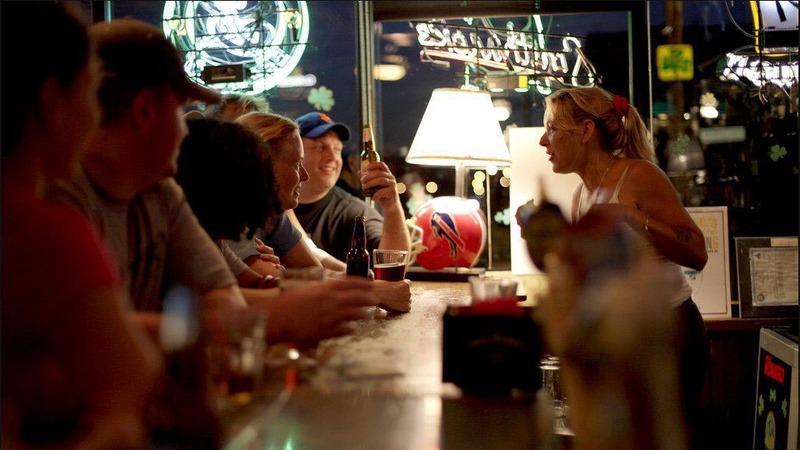 There are a handful of authentic pubs in The Ward: locally-owned, beer-driven, and friendly. Gene McCarthy’s, the most famed of all, is running strong after half a century. Gene’s is named for its founding owner, and a brewery has been added in recent years. 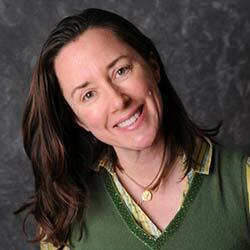 McCarthy’s also has a menu of pub fare and home-style classics – Monday night open mic night is recommended. Just behind McCarthy’s, on nearby Katherine Street, is more low-key Cook’s Bar & Grill with an impressive array of bar games like table shuffleboard, shuffle bowling, darts, and more. The Barrel Factory, a repurposed bar and event space on Vandalia Street, also houses an array of small businesses including Elevator Alley Kayak and Snowy Owl Kombucha. Lakeward Spirits, the bar area, is open Thursday-Sunday and serves spirits and Pressure Drop Brewing beer made on the premises. Adolf’s Old First Ward Tavern, a St. Patrick’s Day hotspot on South Park, has been open since 1934 (despite a short hiatus) and reopened its kitchen in 2017. Ballyhoo (at the corner of South Park and Michigan) has a tagline that says it all: “Links & Drinks” – great cocktails, beers, and house-made sausages. The neighborhood’s most obscure pub, Buffalo Bar and Grill, on Louisiana Street, is only open on Fridays, serves some fine burgers and wings, and is teeming with celebrity memorabilia. 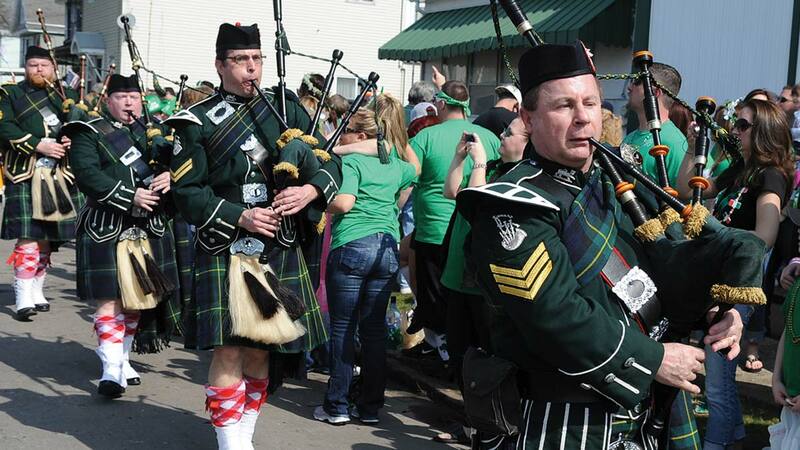 It should be duly noted that Buffalo has two Saint Patrick’s Day parades: one on Saturday in The Ward, and the other on Sunday along Delaware Avenue in downtown. Saturday’s parade is referred to as The Old Neighborhood parade and it winds about after the floats gather near The Valley Community Association on Leddy Street off of South Park. With politicos, marching bands, proud dogs, and dozens of floats, it’s the more tame and briefer rendition. The Shamrock Run – celebrating 40 years on 2018 – is an 8K that draws thousands of runners and walkers to the neighborhood. In addition to its pub offerings, The Ward is home to dozens of locally-owned businesses providing goods and services. 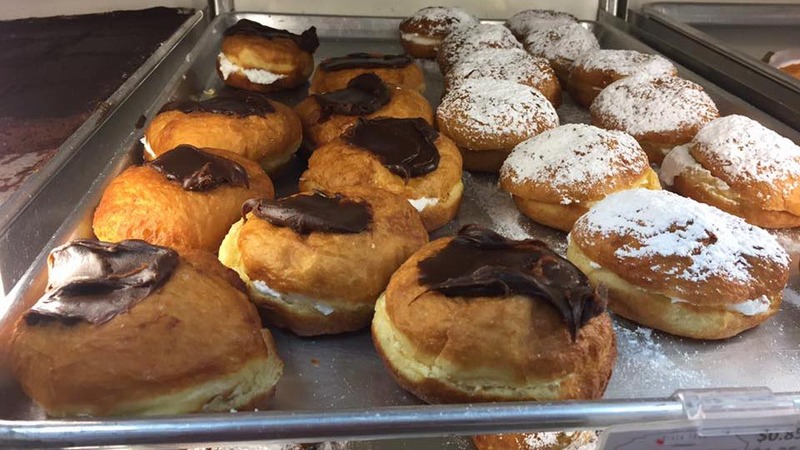 Mazurek’s Bakery on South Park Avenue first fired up its brick oven in 1933 and has been making classic baked goods and Polish specialties ever since: their rye and sourdough breads are legendary. They sell coffee to go to accompany the treats. Across the street, Undergrounds Coffee House & Roastery, in a former funeral home, serves coffee & tea, as well as an array of unique sandwiches with Buffalo-related names. The Ward has a surprising number of public pocket parks within its boundaries. 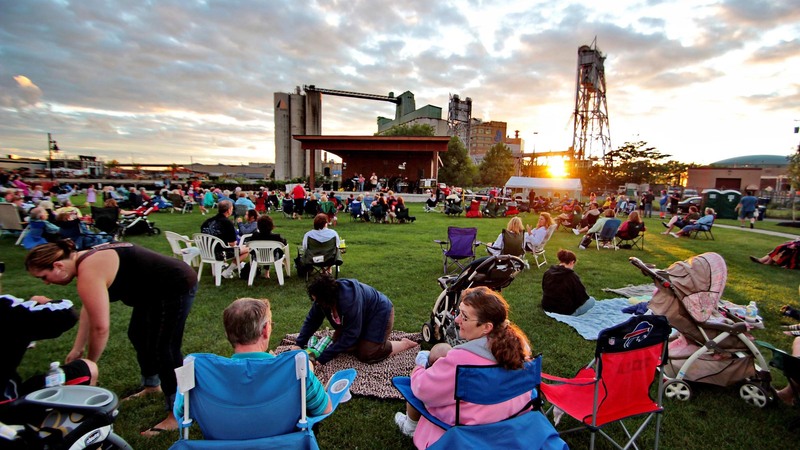 Aptly-named Buffalo River Fest Park on Ohio Street and alongside the Buffalo River hosts a fest of same name in June as well as free Wednesday night concerts during summertime. Tewksbury Lodge, in the park, serves lunch and Friday night dinners. Father Conway Park on Louisiana Street is perfect for picnicking, field sports, and walks to the Buffalo River. Mutual Riverfront Park, on Hamburg Street near the Buffalo River, has rain gardens, a heritage center/event space, and a kayak and canoe launch. Views of nearby grain elevators, dozens of ducks and geese, and watercraft illustrate what is great about The Ward: an easy coexistence of nature, neighborhood and industry.